Our fantastic range of bathroom furniture is extensive! 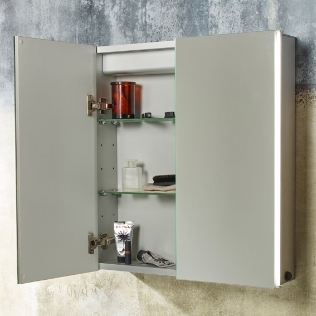 Including bathroom cabinets, bathroom vanities, storage units and what we think are essential additional accessories. We have everything you need to design your bathroom exactly how you wish whilst not only being practical and functional but stylish! We have a wide range of collections that are sure to meet everyone’s style. Whether you are looking for a more modern, contemporary bathroom or a traditional finish, we are sure to have a collection to match. Choosing a vanity unit not only adds an extra element to the room but is fantastic for maximising space with clever storage solutions. Choose between freestanding or wall hung and a range of sizes to ensure it fits in with the layout of your room perfectly! Mirrored furniture is available which not only has its functional use, but also adds depth to rooms limited in size. We have some great extras available too! Mirrors with LED lighting and also with integrated bluetooth audio to add some atmosphere and music to the room. You are guaranteed fantastic products and customer service when you shop with Bathroom Supastore. We are rated ‘Excellent’ on TrustPilot by our customers and have a dedicated team to help you with any questions you have. Give us a call on 0845 271 9929 and we will be more than happy to help!